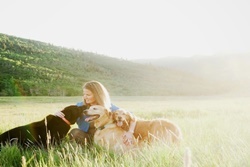 Veterinarians in Deer Valley Utah! Get a Groupon Vet Care Deal for Deer Valley! 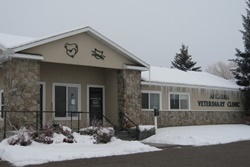 Looking for vet care in Deer Valley? Get a Groupon! 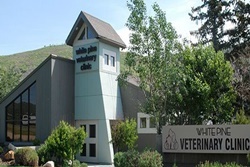 Powder Paws Veterinary Clinic is Park City, Utah's premier and fastest growing veterinary hospital for wellness care, dentistry, laser therapy, grooming, dog training, and more. 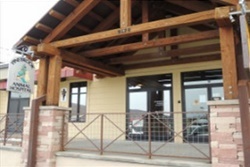 Established in 2013 by Park City local Dr. Kate Bjordahl, the state-of-the-art facility overlooks expansive views of the Jeremy Ranch hillsides. We pride ourselves in a welcoming facility that both pets and their owners enjoy visiting. 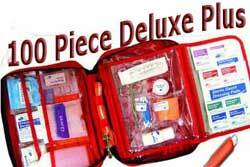 We know your time is valuable, so we ensure very little wait times and drop-off appointments. 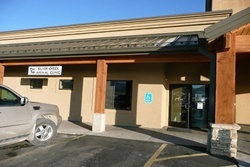 Utah Veterinary Center opened for business as a premier 24- hour emergency and specialty referral hospital in April 2012. We are proud to announce that Utah Veterinary Center has recently joined BluePearl Veterinary Partners, a national leader in emergency and specialty medicine. Our hospital is AAHA accreditied and Level 1 VECCS certified. 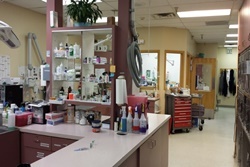 The Utah Veterinary Center team consists of nationally recognized specialists in the services of ophthalmology, surgery, internal medicine, radiology and emergency/critical care as well as expertise in physical therapy and rehabilitation. It is our goal to provide state-of-the-art and progressive medical care in conjunction with your family veterinarian for a well-rounded medical experience that treats your pet with dignity and respect. Mountain View Animal Hospital is a full service veterinary hospital and offers emergency care, routine wellness and preventive medicine as well as a variety of treatment options for many medical, surgical, and oral health conditions. Beyond first rate pet care, we make our clinic comfortable, kid-friendly, and a very calm environment so your pet can relax in the waiting room and look forward to meeting his or her veterinarian. 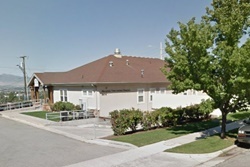 Full service vet, 4 doctor practice in Salt Lake City, open 7 days 7a-8p, Located in Salt Lake City, Utah, Holladay Veterinary Hospital is a companion animal veterinary hospital that specializes in the care and treatment of dogs and cats. 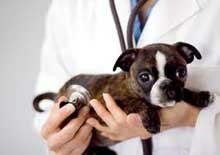 Our experienced and skilled team of veterinary doctors warmly welcomes you to our veterinary facility. At Arcadia Veterinary Clinic, we believe that each and every animal – regardless of size, breed or age – deserves quality, compassionate veterinary care. 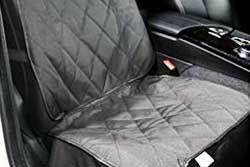 We also believe that every client we serve is important. Your child, who comes to us for the care of his new pet rabbit, is just as valuable to us as the lifelong client who has been bringing her pets to us for decades. It’s this individualized care and personal touch that sets us apart and makes us the provider of choice for veterinary care in Heber City. 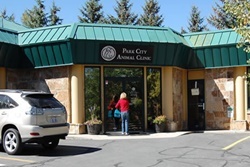 Park City Animal Clinic provides cutting-edge medical procedures as well as all standard veterinarian services, with personal customer service—including doctor accessibility—as one of our highest priorities. 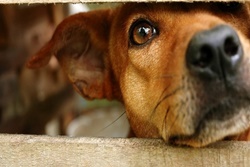 Every member of the PCAC family is devoted to animals and their well being; we understand on a personal level how important the non-human members of your family are. Ours is a family dedicated to caring for your family, both human and four-footed. Come in and get to know us; we're here for you and your entire family.